Below is the roundup of Camino related events and hikes in the SF Bay Area for the month of May 2017. 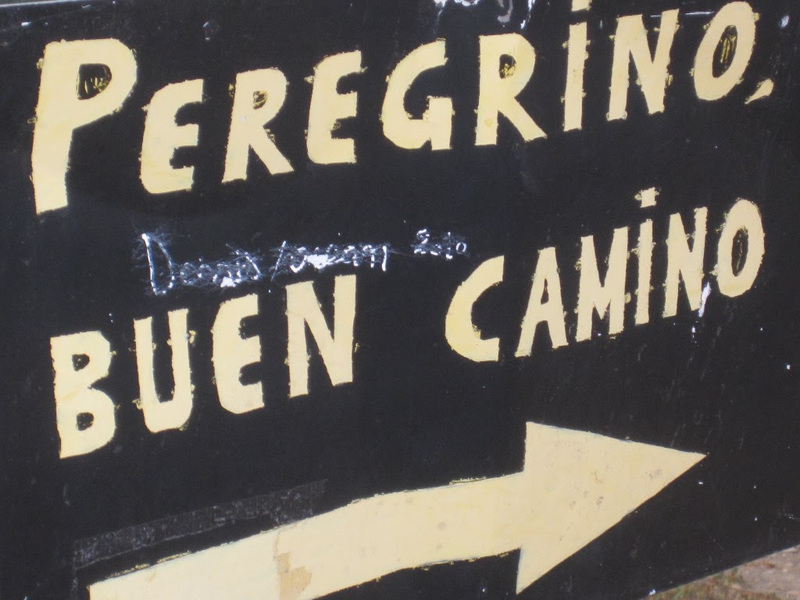 But first, I would like to highlight a few recent updates on this blog, and announce a new e-book on the Spiritual Variant of the Camino Portugués. Santa Cruz couple Cathy Seitchik Diaz and David Stewart are on the Camino Francés right now. As the reporter for the Camino Frances this year, she is sharing the stages the Camino Francés, complete with daily distances, photos, observations and useful tips. See Days 1-12 and Days 13-24. Cathy is, quite possibly, the world’s happiest pilgrim! 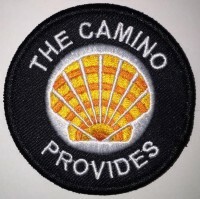 You can find other Camino routes linked under the Route Reports drop-down menu, and on the Camino Routes page. I have been writing about Porto, a popular Camino Portugués starting point. The series is linked below, and on My Camino Portugués Stages page. Roy Uprichard has a new book on Amazon kindle for just .99 cents. It’s called: Stone and Water – Walking the Spiritual Variant of the Camino Portuguese. Roy asks that you download, share and consider leaving a review on Amazon, to make it easier for others to find it. The preface is written by Celestino Lores, President of the Friends of the Camino Portugués. Available on Amazon.com. 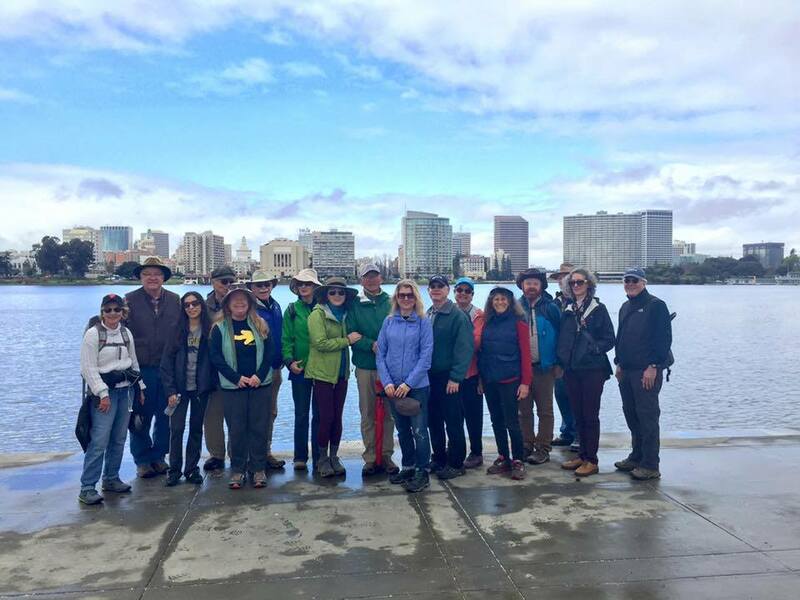 A walk around Lake Merritt in Oakland is held every first Saturday of the month, at 10:30 am starting at the Pergola. Afterwards, there is an optional brunch in the area. Details and RSVP on NorCal Facebook Group. Heads up, from Guy Joaquin: This weekend, Lake Merritt BART station will be closed. 19th Street/Oakland is the other closest BART station to our meeting point at the Lake Merritt Pergola. The next Lake Merritt walk will be on Saturday, June 3, 2017. If you are in the Bay Area, join the Peregrinos Northern California Facebook Group to get details on this and other events. UPDATE: The event is now full, but we are maintaining a waiting list. Contact us at NorCal@americanpilgrims.org for space availability and more details. Escape the hustle and bustle of the city to the peace and quiet of the Marin Headlands on this weekend “retreat” at the Marin Headlands Hostel. We’ll tackle hikes with spectacular views, take part in a day of outdoor adventures, and, of course, spend time together swapping Camino stories and lessons. We’ll hike in from San Francisco, starting at the Ferry Building, and wind our way along the waterfront all the way to Chrissy Field to stop for lunch. Then we’ll cross the Golden Gate Bridge and head west through the headlands along the Coastal Trail to the hostel to begin our 3-day, 2-night stay. The next day, we’ll be led by a naturalist for an outdoor educational program that includes a visit to the Point Bonita Lighthouse and finishes with a guided night hike. On our final day, we’ll hike out through the Gerbode Valley to Marin City and catch a bus back to San Francisco. COST: There is a total cost of $135 per person for items we have arranged for our stay at the hostel (coed dorm room with bunk beds for two nights and use of hostel facilities); meal Supplies (2 group dinners, “DIY” bag lunches and self-service breakfasts); and outdoor program (2 naturalist-led hikes). These will not be formal language classes. Rather, they will be meetings in which we will focus on the language challenges that, as pilgrims, you are likely to encounter on the Camino. While we will talk about culture, history, food, wine and many other day-to-day aspects of Spanish life, our ultimate objective will be to increase your language skills. Familiarity with the Spanish spoken in Spain will make the cultural transition easier for you and ultimately pay off with more satisfying human interactions along the Camino. Our meetings will be informal, in a comfortable environment and geared to making the review of Spanish an enjoyable experience. Coffee, tea and cookies will be available to enhance this learning opportunity. TEACHER: Emilio Escudero will lead the classes. He is fluent in Spanish, has walked the Camino a number of times, knows the culture well and will focus on Castilian Spanish, the Spanish you can expect to hear along the Camino. Emilio is also a chapter steering committee member and on the American Pilgrims Board of Directors. WHEN: Three consecutive Sunday afternoons (May 28, June 4 & 11) from 1:30 PM to 3:30 PM. WHERE: Emilio’s home in Berkeley (address will be provided in email that will be sent the week prior to the first meeting). SPACE: Class size is limited to 12 participants, with priority to those who can make a commitment to attend all 3 meetings. MEMBERSHIP: As a member benefit, we are first accepting registrations from American Pilgrims members. Please be sure that your membership is current before registering so that you are listed in the member database. To join or renew, go to http://www.americanpilgrims.org/join-renew. If space is still available by the week of May 14, we will send out a reminder announcement, and from that time, registration will be open to all. SIGN UP: Go to our Online Registration Page at https://goo.gl/forms/4W8m9XQC0XSRn5Yq2. Limited Participation Classes are kept small so each person can get individualized attention. Classes can fill, so please sign up early or get onto the wait list. Very low cost class fees help to support local parks/programs. Register by calling the number listed or check calendar for links. Learn much more about classes, times and sign up info on Calendar at www.PolesForMobility.com. Check website for details, free support group meetings, product info, pole purchase consultation, tutorials & more. Private Meet-up Groups available for poles class attendees. Mobility classes feature indoor practice and optional lovely pole walks. Hiking class locations scheduled seasonally for optimal trail and weather conditions, views and flowers or shade. 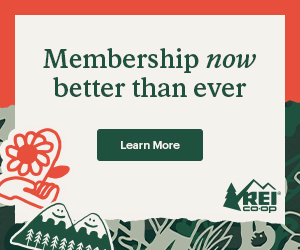 REI Free Clinics in May, June & July. Hiking with POLES & Fitness for the Trail & for LIFE! Half day seminar helps hikers learn poles, trail and body skills. Beginner to experienced hikers will learn techniques without the additional time or challenge of a practice hike. Uphill: Improve power, endurance, spine function. Downhill: Develop skills for feeling safer and preserving joints – Save your knees! Learn everything in the Basic Skills & Techniques class PLUS enjoy serenely-beautiful seasonally-appropriate Practice Hike. Learn individualized strategies for improving your performance on varied uphill and downhill trails. “Test drive” different pole models; learn which fit you best. Hikes 3 to 5 miles. Refine/expand skills, review, practice and learn pole and trail tips to help you more fully enjoy your poles and the outdoors. On practice hikes, we have more time to delve into the nuance of your most excellent form. “Test Drive” poles. Easy-to-learn pole techniques and gentle exercises empower people with mobility challenges to maintain walking form, navigate everyday obstacles, reduce risk of falling, restore spine function, improve stamina and strengthen muscles that support weight-bearing joints. Optional lovely practice PoleWalk. Special balance poles & tips provided. 4th Annual Lake Tahoe Pilgrim Rendezvous.